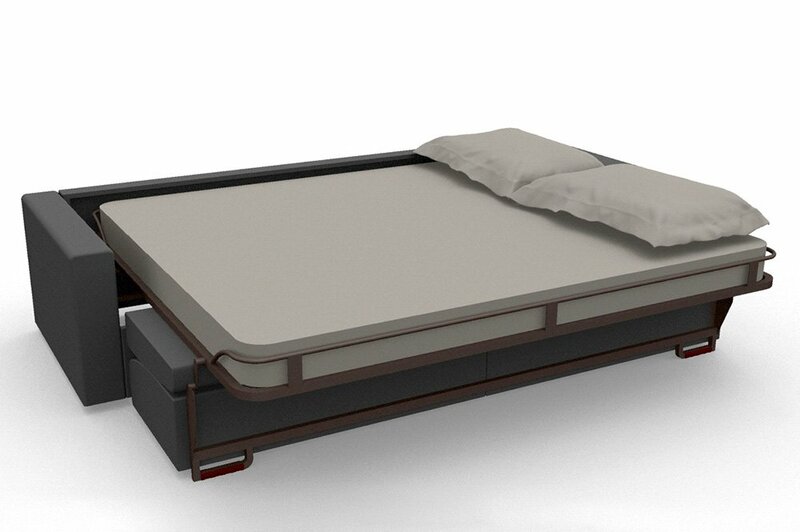 Conversion into a bed takes place by one movement only and without the need of removing seat and back cushions. 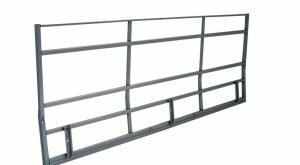 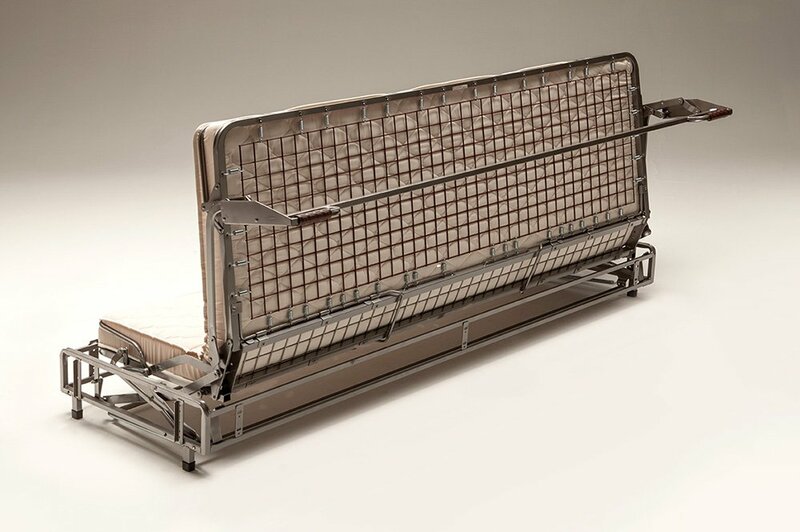 Robust, yet possesses lightweight operation and orthopaedic weldmesh sleeping deck. 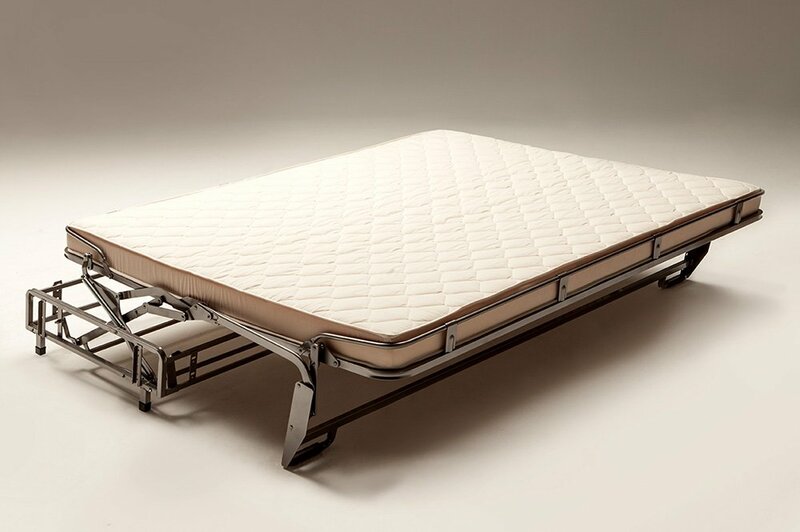 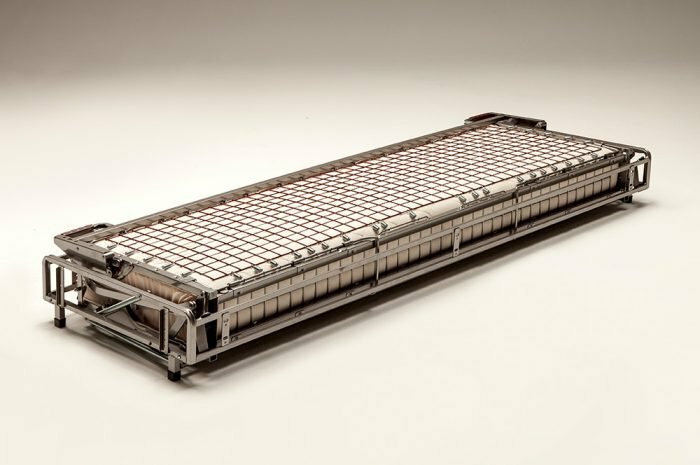 The MARCONI mechanism is engineered for regular use and can accommodate 190×160 cm mattresses ( 12 cm thick ). 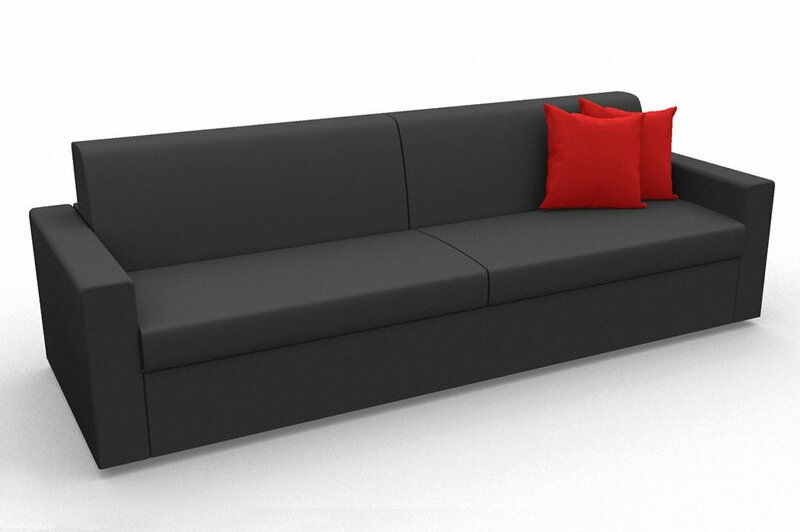 A height of only 28 cm allows the contruction of model design sofabed. 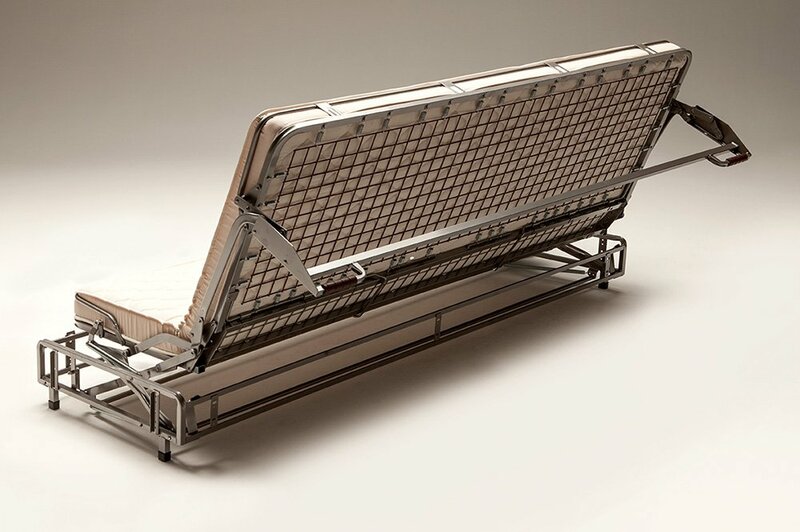 The alternative sleeping deck makes it ideal for ships, hotels, contract environments and for restricted spaces which do not permit conventional opening of sofa beds. 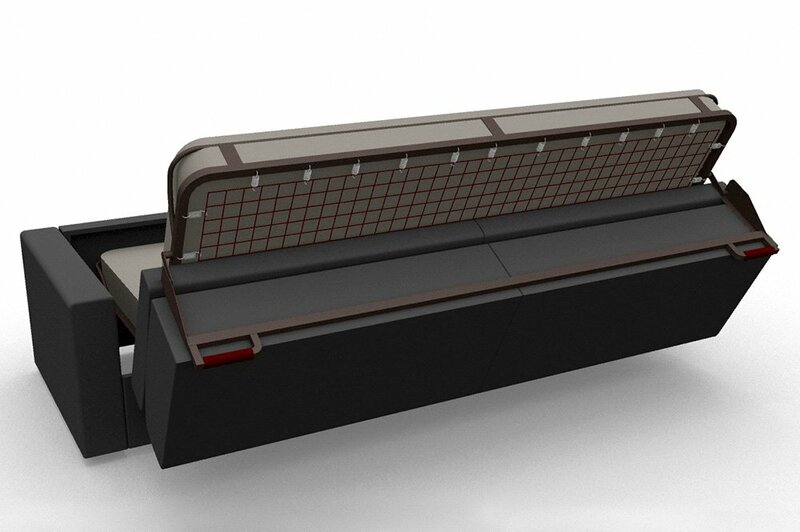 Weldmesh seat.